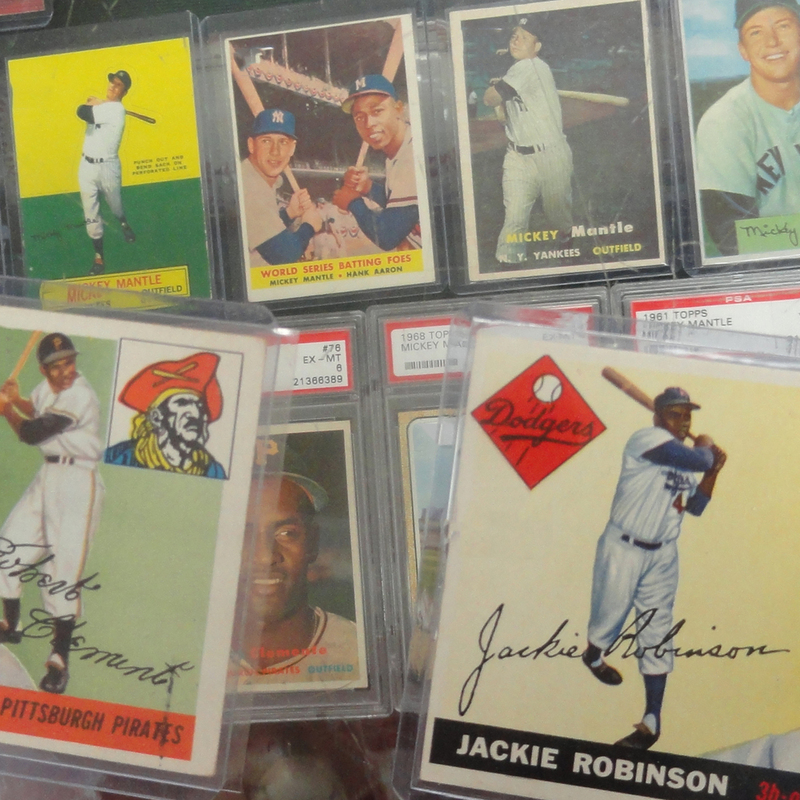 We carry a wide variety of rare, vintage and current cards. Our inventory includes Baseball, Basketball, Football, Hockey, Super Hero, Magic, Star Wars, Pokemon, Yu-Gi-Oh!, GarbagePailKids and more! 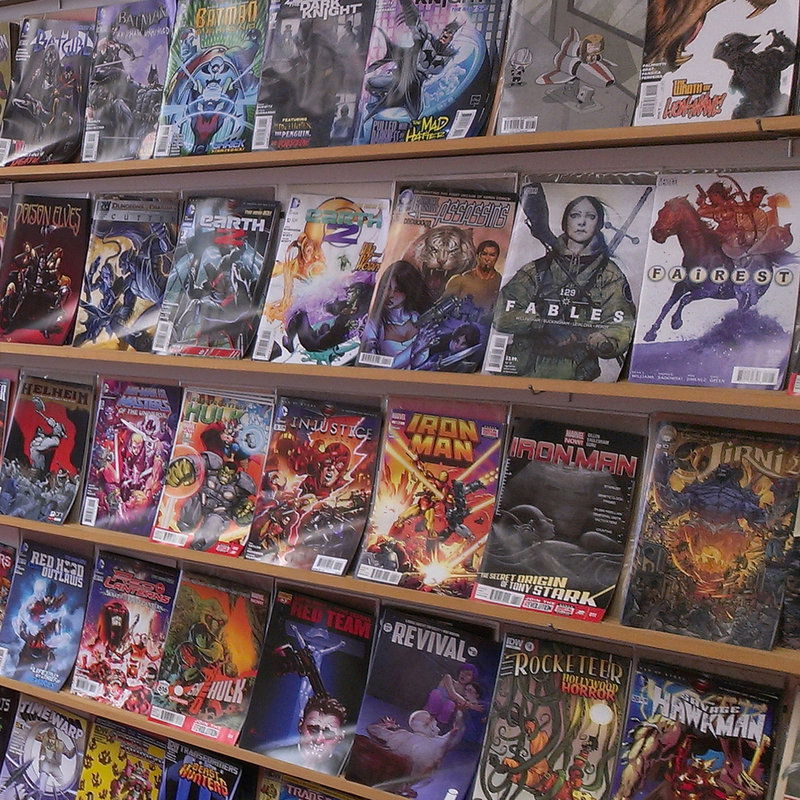 We have today's most popular books and trade paperbacks as well as an extensive collection of back issues, including pieces from 1940s and '50s. Our selection of new items changes every Wednesday. We keep a considerable inventory of rare autographed sports memorabilia and other historical items. Our collection includes postcards, photos, magazines and many other classic relics of presidents and celebrities. 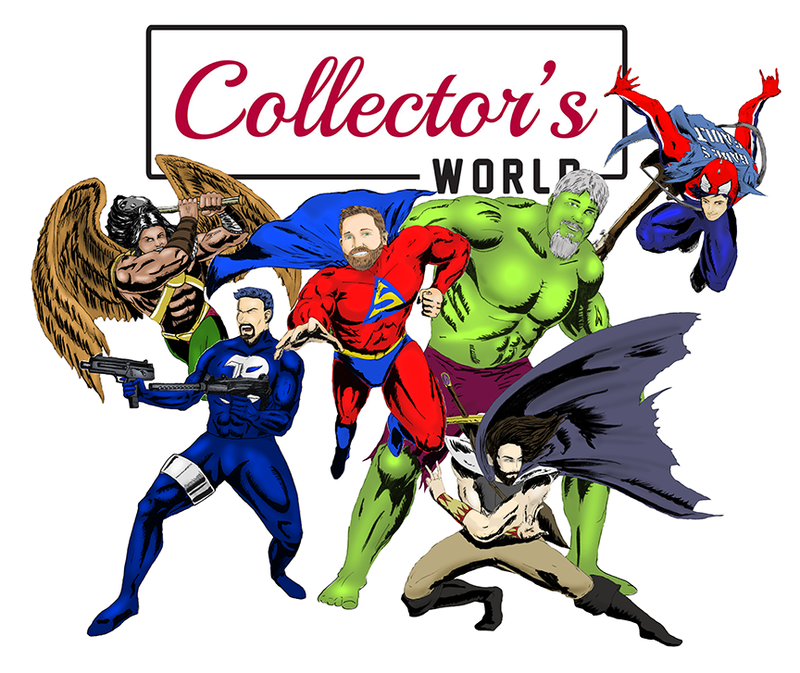 Collector’s world is staffed by super heroes! If you are interested in learning how to draw, we offer events hosted by David. For details, please check out our Facebook page: www.facebook.com/CollectorsWorldVA. For more information, or if you would like to be drawn as your favorite character, please contact us at collectorsworldinfo@gmail.com or 703-256-8408. Sell or Consign Your Collection With Us Today! Have an old collection you're looking to sell? Collector's World will buy or sell your items on consignment! and we will provide our expertise on selling for top dollar! You may Bring your items in person anytime or schedule an appointment. contact us here or email collectorsworldinfo@gmail.com. Come visit our "mini" locations in Richmond and Strasburg! We now offer custom framing for all of your collectible items. 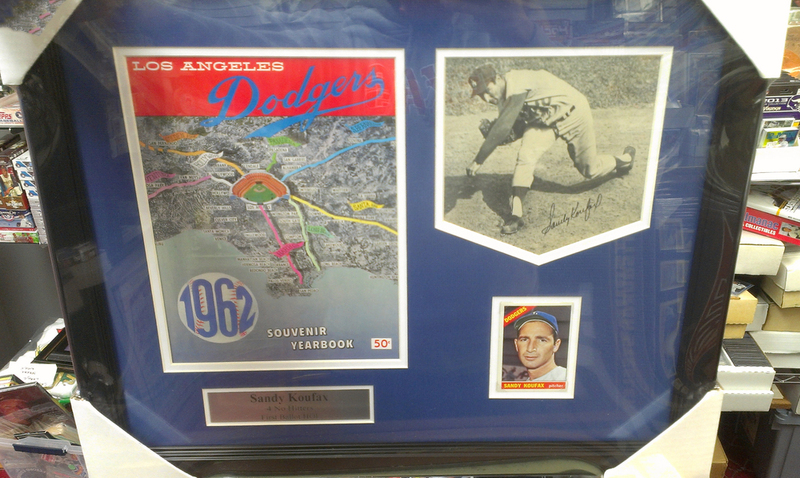 View our gallery for pricing and samples of framed memorabilia. Create a personalized, one-of-a-kind display that will last for many years to come! Come visit the store to check out our full collection, call us at 703.256.8408 or send us a note here. Sample Installation Space at The Green Turtle in Chantilly, Va.
Our installers will work with you to design and place items in your space where they will add ambiance and a fun atmosphere! All items are installed using our special security hardware system that prevents them from ever falling off the wall when bumped or cleaned! No drilling through the frame! Visit The Green Turtle Restaurant in Chantilly, Virginia! For additional information and references, please call us at 703.256.8408 or send us a note here.